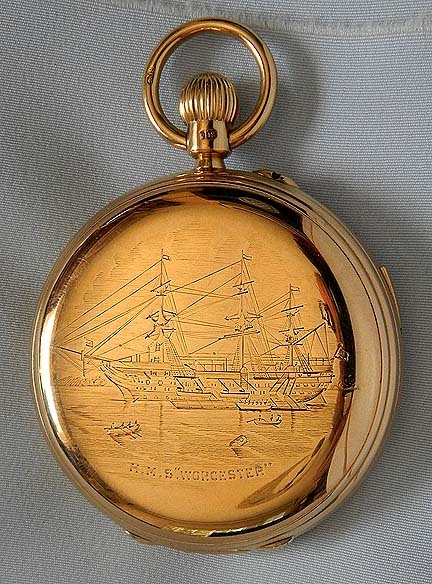 Fine and historically important English minute repeating grand and petit sonnerie clockwatch circa 1869 sold by the Army and Navy Cooperative and with heroic presentation to Captain John Henderson Smith of NMS Worcester. Heavy case with repeat slide in the band and overall pocket wear. 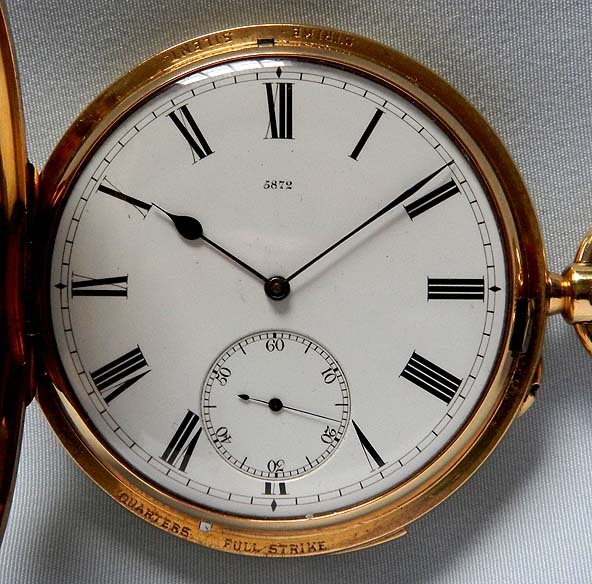 White enamel dial with black markings and blued steel hands. 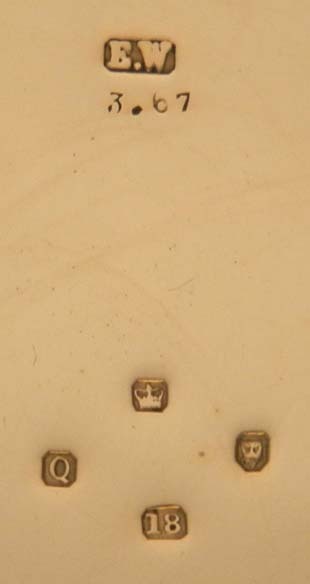 First quality gilt 3.4 plate estimated 20 jewel freesprung movement with diamond cap and gold set screwed train jewels. Levers at the edge of the dial to select strike or silent and quarters or full strike. With the selection lever in the full strike position this watch automatically chimes the hours and quarters every 15 minutes. This means that 1:15 has a different chime than 2:15. 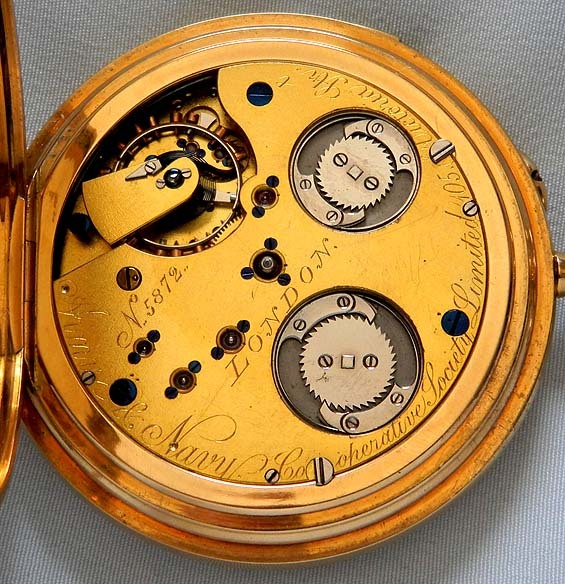 In the quarters position the watch automatically chimes the quarters without the hours. Silent means the watch does not strike automatically. 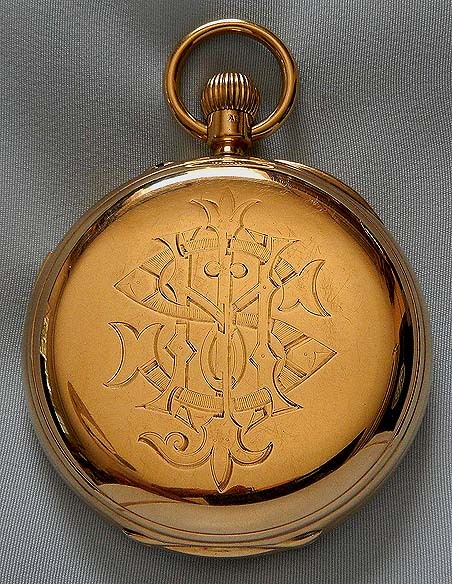 When the slide in the band is activated, this watch chimes the hours and the quarters with a lovely chime. Engraved on the dust cover: To Capt. Henderson Smith Comnd. R.N.R. Commanding H.M.S. 'Worcester' by W.H. Roberts, Esq. in appreciation of the rescue of Himself, Mrs. Roberts & the Crew of the Yacht 'Bamba' which became a total wreck. 10th September 1869.
" 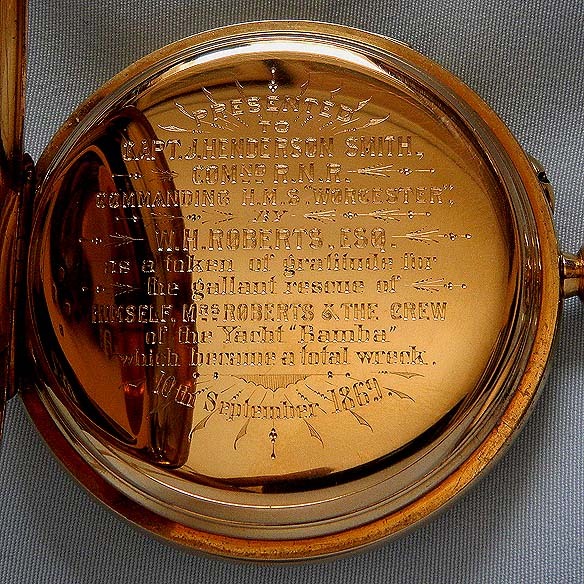 Captain Smith was the Commander of the Royal Navy training ship ""H.M.S. Worcester"" for over 25 years," training cadets from all over Britain; he died in December 1904 at the age of 78 and is buried at Highgate Cemetery in London. One of the cadets trained by Captain Smith was Togo Heihachiro, who later became an admiral himself. Known as Admiral Togo, he was one of Japan's greatest naval heroes, "often called "the Nelson of the East". Sold with a logbook that includes a collection of original letters, newspapers clippings and black and white photographs related to Captain Smith's life.